WESTERN BOAT LIFT, DOCK AND TRAILER INC. IS HIRING TEMPORARY AND SEASONAL EMPLOYEES FOR OUR UPCOMING SEASON. WBL IS A SUPPLIER OF MARINE PRODUCTS THAT REQUIRE DELIVERY, ASSEMBLY, INSTALLATION AND REMOVAL INTO LAKES ACROSS ALBERTA AND BRITISH COLUMBIA. We are looking for individuals who are capable of lifting weights in excess of 50+lbs, working flexible hours with many opportunities for OT, and have a good understanding and experience with basic tool use. Interested individuals should email their resume and any relevant information to info@westernboatlift.ca with the subject of "Application for Hire". Positions are available early-mid April with training to follow. The perfect solution for those who don’t want a boat lift but still want to protect their boat from the elements. 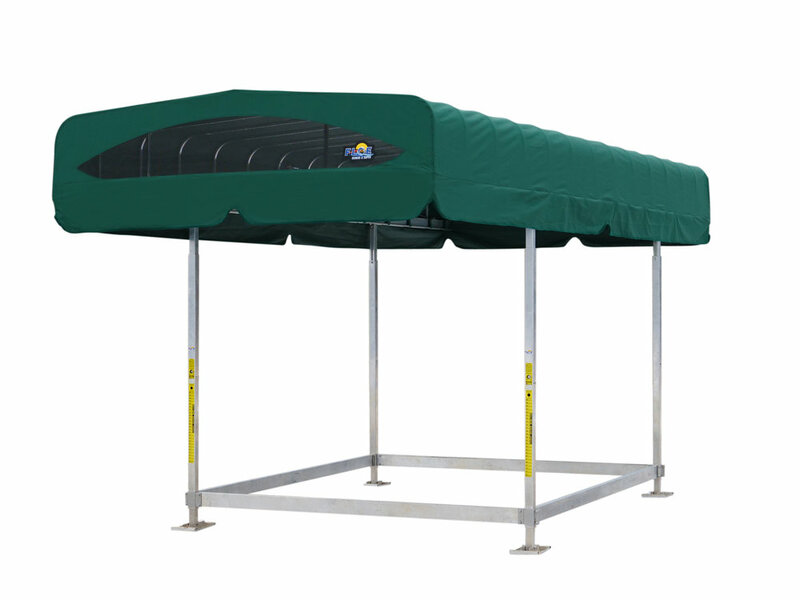 Includes FLOE’s Easy Leveling™ System so you can effortlessly level the canopy without getting in the water. Available in all of FLOE’s AirMax™ canopy colors including Navy Blue, Green, Grey and Black. Can also customize with AirMax™ Premier custom striped ends. © 2019 Western Boat Lift Canada. All rights reserved.